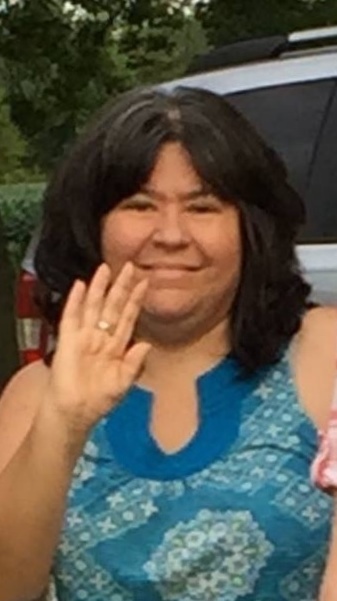 Michelle Lynn Kindell, age 48, of Laura, passed away on Wednesday, August 15, 2018 at Upper Valley Medical Center. She was born June 2, 1970 to Mike & Sharon (Webb) Clark in Troy, Ohio. She is preceded in death by her sister-in-law Marcia Kindell; uncles Rob Evans and Steven Webb and aunt Rhonda Webb. She will be missed and remembered by her parents; loving husband David Scott Kindell of Laura; daughter Chelsea (Willie) Bland of Englewood; god children Keith Greene of Dayton, Sarah and Heidy Hassan of Nebraska; grandson Scottie Bland of Englewood; grandmother Dolores Webb of Laura; sister Beth Clark of Dallas, TX; brothers Todd and Chris Clark; brother-in-law Brent Kindell of Ludlow Falls; sister-in-law and brother-in-law Beverly and Ron Wogoman of Troy; aunts Susan Webb of Jacksonville, FL and Sandy Evans of Michigan and father-in-law and mother-in-law Bob & Jean Kindell of West Milton. Michelle was a member of Ludlow Falls Christian Church. She also volunteered at God’s Clothes Closet and enjoyed taking care of her grandson Scottie. Funeral services will be held at 10:30 AM on Monday, August 20, 2018 at Hale-Sarver Family Funeral Home, 284 N. Miami St, West Milton with Pastor Jerry Collins officiating. Burial will follow in Bethel Cemetery, Tipp City. The family will receive friends from 2-5 PM on Sunday, August 19 at the funeral home. Online memories of Michelle may be left for the family at www.hale-sarver.com.